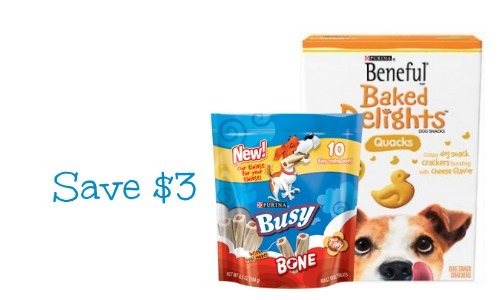 Here is a new Purina treats coupon that you can use to save $3 on Purina busy bone treats and Beneful baked delights. While baked delights aren’t on sale, you can get Purina busy bone treats at Kroger for $2.50 each this week. Here are more pet care coupons to help you save on whatever your pet’s needs are.